I thought the quest for the ideal Source Conrol System (aja Version Control System) had ended when I moved away from that piece of garbage, known as Visual SourceSafe, and into CVS a few years ago. Alas, not long after, I realised that things could be better. Enter Subversion! Still, I kept an eye out for anything else that may be better. The most intriguingly named Git is one that has caught my eye. There are plenty of articles on the net about git but the one I found most refreshingly useful was the one at Tom Preston-Werner's blog. It explains how git works in the most useful way I've seen in a very long time. For a few days now, I've been trying to find out how to make a boot DVD that contains a number of ISO images. I wanted to put a number of anti-virus rescue CDs onto one DVD and have some kind of boot menu on it, so that when it boots it gives me a list of ISO images I can boot from. You'd think it was easy, wouldn't you! There is a lot on the web about MagicISO; it supposedly does just that. I have no doubt that it does, I just haven't been able to find any info on how to do it. I have seen a few references that talk about how to put a bunch of different versions of Windoze on a DVD. That'd be about as usefull as getting a bunch of diseases, all in one cup. Convenient, I am sure, but most undesirable. However, I did find something that goes quite some way there! It is called Sardu, which stands for Shardana Antivirus Rescue Disk Utility. It allows you to build an ISO that is made up of a number of other ISOs. It also allows you to make a bootable USB out of it. It doesn't quite do everything I want, i.e. use any number of any type of ISO images. You can either download the ISOs you need by visiting the sites shown in the table above or start SARDU and click on the name of the ISO you want to download. If you download the ISO, make sure you put it into the ISO directory, as shown above (cyan-coloured entry). Also make sure the ISO name is exactly as specified above. Once everything is in place, start SARDU. It will detect all the ISOs that are in the ISO dir (but will ignore any that are not in the list of supported ISOs). It will place a check-mark next to the name of the corresponding app in the GUI. You can un-check it, if you wish. Go through all the tabs in the SARDU GUI and select/deselect the ISOs you want in your final image. When you've done that, simply click on the MAKE ISO button, wait a minute and, voila, you are now the proud owner of a multi-boot ISO, with all the goodies you selected! I have not had a chance to test the bootable USB option yet. I'll be buying a 2GB USB stick tomorrow and will try it then. I believe the author is Davide Costa. Bravo ragazzo e mille grazie! One of these days, I will actually buy a dSLR and the fun will stop. Toing and froing from one camera model to another for the last 12(!!!) months has been fun. Hasn't it? 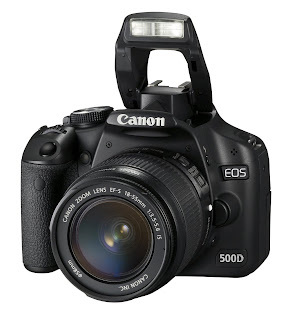 At this rate, I will be buying a dSLR sometime just before the Y3K problem comes around. 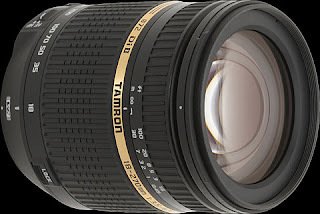 The sticking point is that I can't find a lens that will give me the zoom range I have in my current camera, a lowly Panasonic FZ20 (non-dDSLR) with a 12x lens which reaches 423mm at f2.8! Still, at AU$628, it is a pretty good price! Pop by in a few months time...who knows, with the holiday season just around the corner, I may just do it!